Floaters are small specks in your field of vision. You might see them when you look at a plain background, like a blank wall. The vitreous humor of your eye- the clear gel that fills the inside of your eye - is where floaters originate, in the form of tiny bits of gel or cells. You aren't actually seeing these bits, but are really seeing their shadows as they are cast on your eye's retina, which is light sensitive. As your eye moves, the floater moves too, because it is inside your eye. Custom laser vision correction, using sophisticated iris tracking, is the latest advance in the field of laser vision correction. We all have unique imperfections in our eyes, such as nearsightedness, farsightedness, or astigmatism, sometimes in combination. Irregularities happen because of the way our eye bends light, and these unique imperfections are known by eye care professionals as 'wavefront abnormalities'. As we age, changes occur in our vision that may lead to a number of conditions, such as cataracts and presbyopia. A cataract is an opaque or cloudy area that forms within the eye's lens, making vision difficult. Cataracts occur with aging or trauma. The treatment for cataracts is to remove the lens and implant an artificial lens, called an intraocular lens (IOL). If you're considering LASIK surgery, you'll meet with an experienced ophthalmologist to check your vision and review your medical history. The ophthalmologist will discuss traditional and custom LASIK options. Recently, Nintendo has been promoting a new game package for its handheld DS system. The package, called Flash Focus, is a series of exercises for your eyes, ostensibly to stave off vision loss that occurs as we age. Very popular in Japan, Nintendo is hoping to target a different sector of the American market with this product. The question is: if you want better vision, can eye exercises help? Thanks to all of the patients deciding to visit us in Roseville. If you haven't heard, our surgeons are now seeing patients in Roseville and Sacramento. If you are thinking about having LASIK and would like to have a free LASIK evaluation with one of our surgeons, I invite you to give us a call or contact Jami through the link on the right side of your screen. Thanks for visiting our site. Tune in this Sunday night to KOVR 13 and watch Kurtis Ming's segment, Buy It and Try It. Channel 13 contacted us for our help in testing a popular product on the market called, The Lens Doctor. This product claims to fix scratches on your glasses and restore them to like new condition. For quite a while patients have been requesting that we expand our services to include the Roseville area. We are happy to announce that this will finally become a reality. 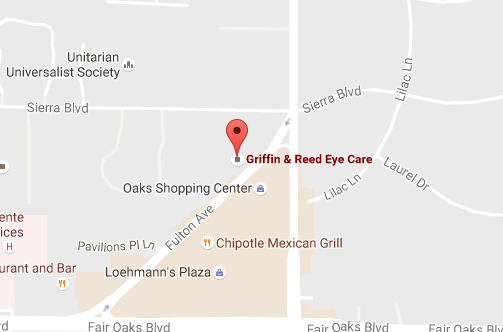 Effective today, we will begin seeing patients in Roseville for LASIK. 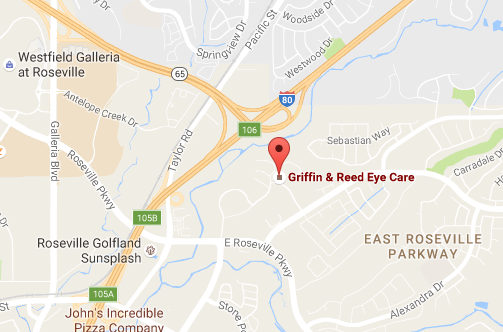 If you would like to have your free LASIK evaluation performed by Dr. Reed in Roseville, please contact our LASIK department and they would be happy to schedule your appointment. More exciting news to come in regard to Roseville! 5/24/2007 - WASHINGTON (AFPN) -- Air Force officials have changed the policy to allow people applying for aviation and aviation-related jobs to have had LASIK surgery. The change became effective May 21. The change also removes the altitude and high-performance aircraft restrictions for people who have had LASIK. The decision to make these changes was based on studies that showed there was little to no effect on LASIK-treated eyes when subjected to the wind blast experienced during aircraft ejection or exposure to high altitude.